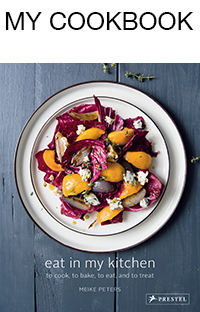 If you love cooking and cookbooks, you’ve probably come across Sami Tamimi’s name, either on the cover of Ottolenghi: The Cookbook or Jerusalem – both award-winning bestsellers. But who is the man who co-wrote these beautiful recipe collections and started some of the most talked about restaurants on the London food scene together with his friend from Israel? While the whole world seeks fame and attention, what drives a man to stay in the background and concentrate on what he loves the most: to cook and create recipes? The more I got to know about Sami, the more I understood his decision to be the chef in the kitchen and not the star in the spotlight. Growing up in the Old City of East Jerusalem and feeling the restrictions of life in a traditional Muslim family, he left home at the age of seventeen and headed to Tel Aviv. 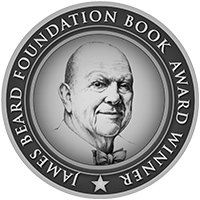 The ambitious young man worked hard and became a chef at one of the country’s best restaurants. But Sami was hungry, he wanted to learn and evolve even more: London was next and with it the beginning of a beautiful story of friendship, great food, and success. A story of two men, whose ideas, dreams, and creativity are inseparably woven into each other. 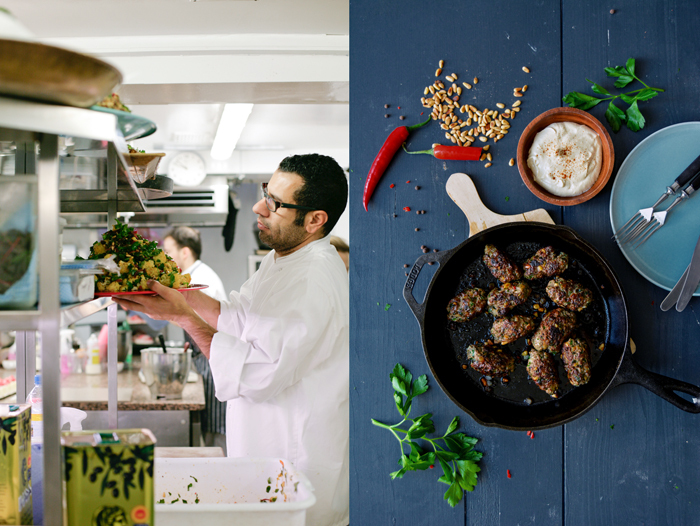 Sami and Yotam first met at Baker & Spice in London, where Sami had developed a food concept quite similar to the one we know from the Ottolenghi restaurants in Islington, Belgravia, Notting Hill, and Spitalfields. Lusciously filled platters of Middle Eastern and Mediterranean dishes, so pleasing to the eyes that one can’t help but stop at the first glance. You might not be hungry, but after a quick look through the large windows you’ll fall for the tempting displays – they seem to call your name. Yotam must have felt the same when he passed the restaurant back in 1999. He hopped off his scooter and started talking to Sami. They got along well straight away, so he joined him in the kitchen, and became responsible for the pastry. What happened next is one of the many reasons I love life: a simple idea became reality through hard work and dedication. They decided to open their own place and put their individual skills together to make it happen. The rest is history. In its honesty, Sami’s view of the story touches me: “It was Yotam’s vision and his dream. The work was his. The stake was his. I didn’t have money to invest. He risked everything he had. A few years later, I became a partner, but regardless of the cookbooks we do, regardless of our friendship, I’m still working for Yotam. He’s my boss”. But as much as his friend was the visionary, in the end it was also Sami’s creative concept for food, which became what we know as Ottolenghi today. These two men, aware of their individual strengths, put it all together and turned it into something greater. Having cooked and baked with Jerusalem, enjoying it every time I pull it off my shelf, it felt even more exciting to choose one of the recipes from the book together with Sami to share with you. 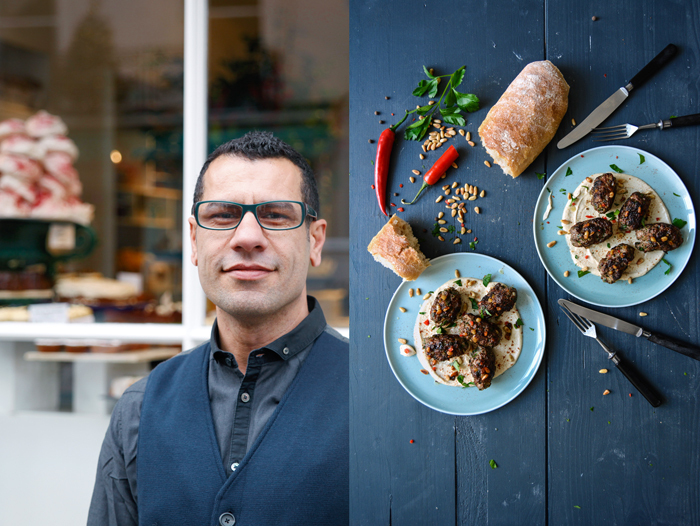 We didn’t manage to meet in London, but cooking his kofta here in Berlin, working on the interview with him, and learning so much about and from this inspiring man, made me feel once more that the kitchen is often the best place to get to know someone. 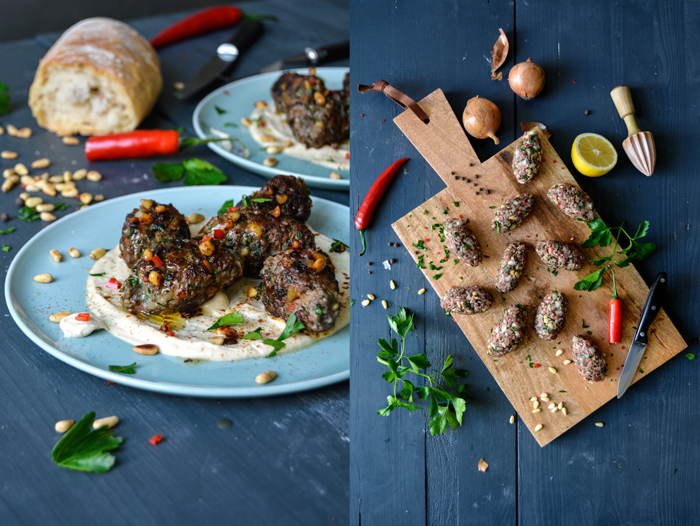 I cooked Sami’s kofta and I loved it. It was nothing less than heavenly: the little oval meatballs are juicy, packed with nutty pine, parsley, spicy garlic and chilli. 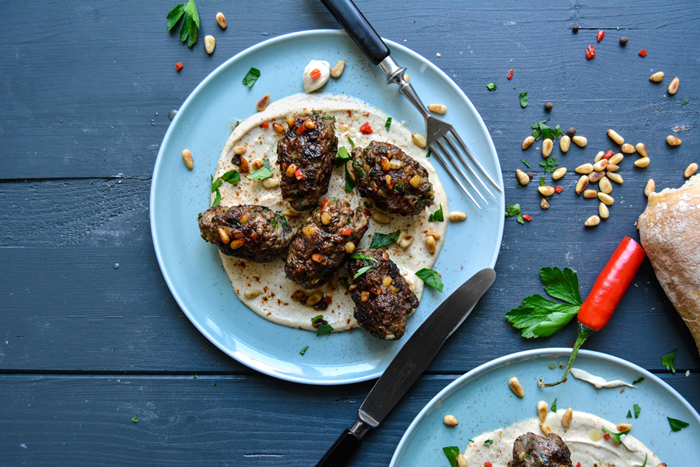 Sami lays them on a tahini-lemon sauce, a smooth and creamy contrast to the fragrant meat. It’s one of those dishes that make you wish you had made twice as much. Here’s a great article by Jane Kramer about Yotam and Sami in The New Yorker, which I can recommend if you need a little inspiration for life. 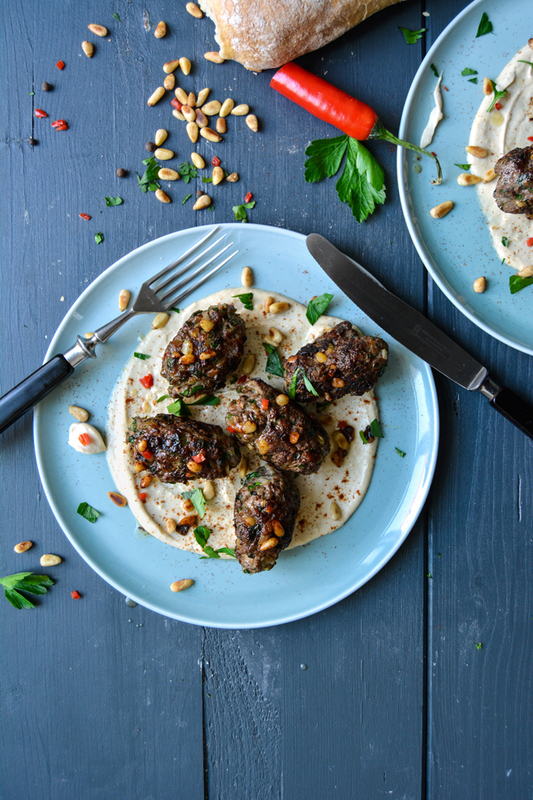 For these kofta, buy your meat freshly minced by your butcher, if you can. The lamb should be shoulder and the beef a good non-stewing cut. If you get the meat from a supermarket or another grocer, cook it through, just to be on the safe side. Finish the dish with butter only if you are serving it straight away and consuming it all at once. Otherwise, leave it out as it sets quickly, which isn’t very nice. Serve with pita (I used ciabatta). If the tahini-lemon sauce starts to curdle, slowly add more water and continue whisking or pulsing it in a blender until smooth. 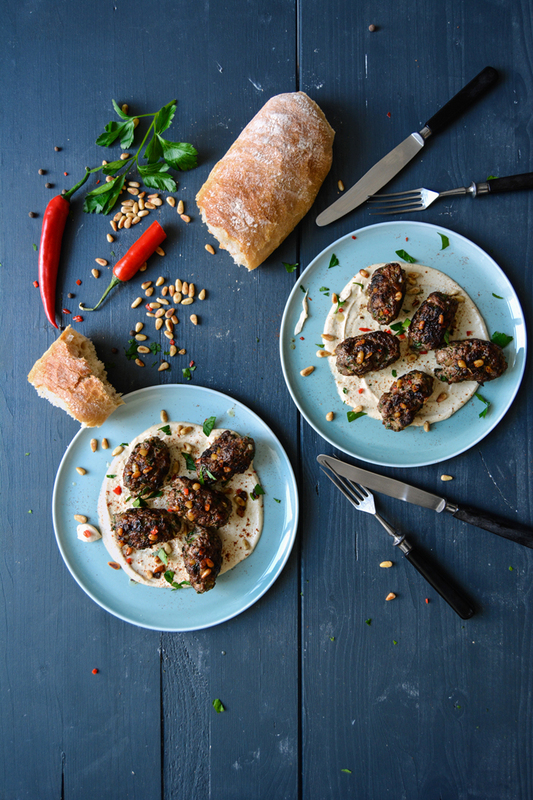 Put all the kofta ingredients in a bowl and use your hands to mix everything together. Now shape into long, torpedo-like fingers, roughly 8cm / 3″ long. Press the mix to compress it and ensure the kofta is tight and keeps its shape. Arrange on a plate and chill until you are ready to cook them, for up to 1 day. Preheat the oven to 220°C / 425°F. In a medium bowl, whisk together the tahini paste, lemon juice, water, garlic, and 1/4 teaspoon of salt. You can also use a blender or food processor. The sauce should be a bit runnier than honey; add 1-2 tablespoons of water if needed. Heat the sunflower oil in a large pan and sear the kofta, in batches, over high heat. Sear on all sides until golden brown, for about 6 minutes. At this point they should be medium-rare. 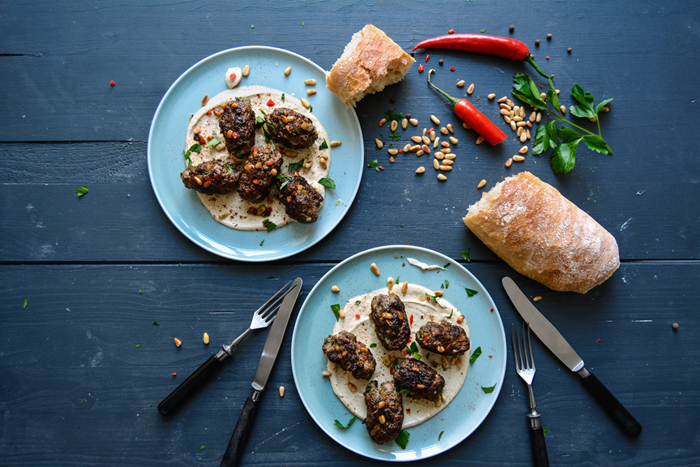 Transfer the kofta to a baking dish and cook in the oven for 2-4 minutes (medium or well done). I cooked mine for 8 minutes in the pan and skipped the oven. 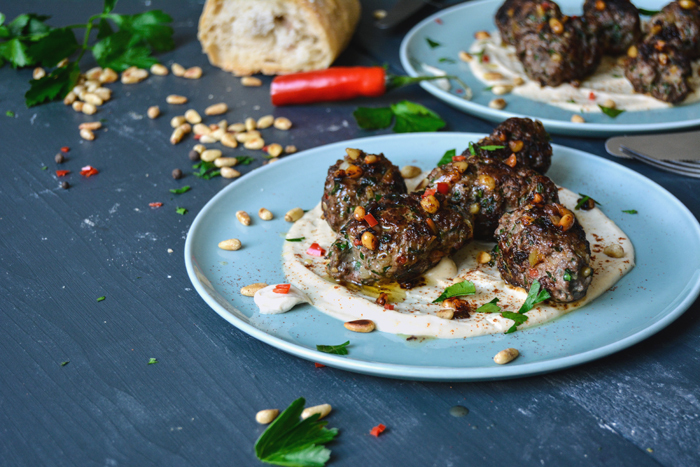 I spread the tahini sauce on plates and laid the kofta on top, then I continued with the garnish. 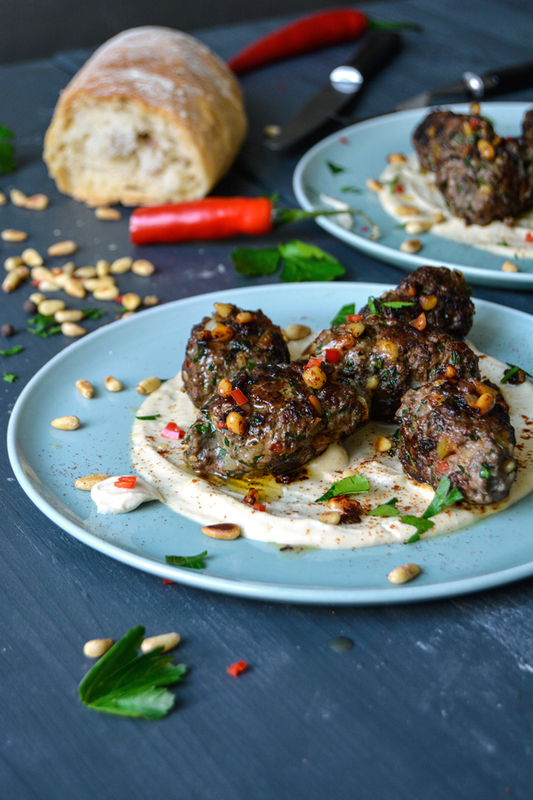 Spoon the tahini sauce around the kofta, so it covers the base of the baking dish. Place in the oven for 1-2 minutes to warm up the sauce. Meanwhile, if you’re using the butter, melt it in a small saucepan and allow it to brown a little, taking care that it doesn’t burn. Spoon the butter over the kofta as soon as they come out of the oven. I skipped the butter and used the frying juices from the pan instead. Scatter with pine nuts and parsley and finally sprinkle some paprika on top. Serve immediately. What made you leave Israel and move to London? I’d been cooking for many years in Israel. After a good time at Lilith, one of the top restaurants in the country, I was beginning to reach my full potential. I knew if I wanted to keep learning and growing I’d need to look further afield. I’d visited London a few times and fallen in love with it so it was the obvious place to go. The political situation was also getting worse by then and the levels of stress were getting higher. I wanted a change from that. You say you’re more into savoury than sweet baking, what do you like about the process of creating savoury recipes? Why do you prefer it to sweets? I find I have more creative freedom with savoury cooking. Baking and sweet cooking in general is often quite a science: everything needs to be measured for the result to work out. What goes into savoury cooking can change much more, depending on the day and the mood and what you have to hand. I love that freedom. Also, I can’t stand all the flour that gets everywhere! I like my kitchen clean and tidy. You lived in Tel Aviv for 12 years, a city known for its vibrant food scene, what makes it so special? What do you miss the most about the food in Israel? I haven’t lived in Tel Aviv for 17 years so the food scene has changed a lot. I guess what makes it vibrant is people’s passion for the food and people often basing their social life around food. There are a lot of young people who travel the world from Tel Aviv and then return with all sorts of knowledge about different cuisines: that makes it a really creative place. Do you find creative inspiration in the British cuisine? Do you have a favourite British dish? We have some wonderful products and raw ingredients here, which are a constant inspiration. There are also a few local chefs who I get a lot of inspiration from: Simon Hopkinson and Nigel Slater, to name just two. I’ve lived in the UK for many years now so I have come to love some of the classic British dishes: Apple or pear and rhubarb crumble, beef wellington and so on. 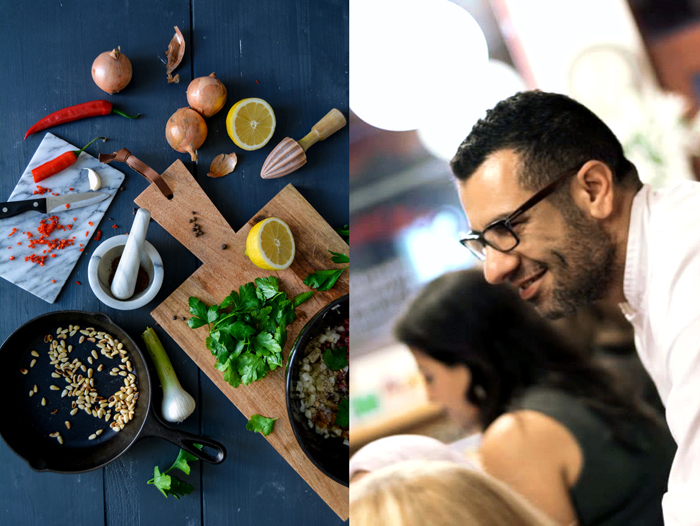 Is it harder or easier to work with a close friend (Yotam Ottolenghi)? How did your friendship change through the experience of writing books and running restaurants together? Yotam and I started to work together long before Ottolenghi was born. Combining friendship and business is not always a good thing but we’ve been doing it for many years now and have perfected the way of working together without it effecting our friendship. We see each other a lot and are constantly checking in with each other but our day-to-day jobs are very different. Yotam is based in the test kitchen and I am based in the restaurants so our roles are pretty separate from each other. 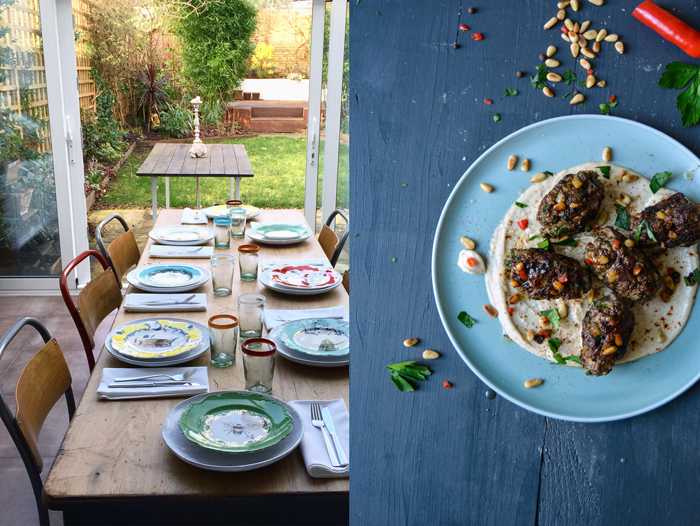 You’ve co-written Ottolenghi: The Cookbook and Jerusalem, what is your favourite part of the process of writing a cookbook? For Jerusalem, cooking at home, alone, in my kitchen and then sharing childhood memories and stories sparked from the food was my favourite part. The Ottolenghi: The Cookbook was harder for us: It’s the first child thing, you are making it up as you go along so it took longer to work out what we were doing! Jerusalem was easier technically but harder emotionally. What advice can you give young chefs? Being a chef is hard work: the stress levels are high, the hours are long and you don’t get to sit down or sleep much! Before you spend a lot of time and money going to cookery school, people should always do a stint in a commercial kitchen to see whether the job is for them. There is so much more to the job than just making food look pretty! You need to start with passion and love and then add some hard graft and dedication. And then you can start making the food look pretty! You write poetry in Arabic and you paint, does this bring you relaxation or inspiration? Writing poetry, painting, photography, cooking, it’s all part of the same process, for me: a way of expressing myself, saying something about the world we are living in. Cooking at home is what keeps me in love with food. I cook at home every evening, even after a long day working with food. My mother. She was an amazing cook. Was food, cooking, and eating a big topic in your family while growing up? Yes, it was. The kitchen was the heart of the house and my family. When we were having breakfast we’d be discussing what to have for lunch. Chats at lunch were about what we were having for supper. Food was always on the go, being prepared or cooked. I cooked all the time, from a very young age: I’d be making it up if I said I could remember my first dish! I tend to go to small Middle Eastern shops in west London for my food grocery because the fruit and vegetables come from sunny places and therefore they taste much better, plus I can find all the ingredients for Palestinian cooking. My mother. Anything she will cook will be delicious. Many dishes to share and lots of food: if it was a Palestinian spread they’d be Maqluba, okra in tomato sauce, Bamieh Bil Zeit and Mujaddara, lentils and rice with lots of fried onions, to mention just three dishes. I love Palestinian food and still do. I also love Japanese, Mexican, Thai and Nordic food. When I’m at work then of course with others and it’s much more fun. But when I’m cooking at home, I like to be alone, with music. Some days I’ll wake up with a dish in mind and then I’ll make it but most times I just go to the shops and decide then, according to what I find and what’s in season. I have recently made Turkish Su Böreği or as some call it, water borek. I’ll never attempt to do it again. It was so hard and complicated. The end result is delicious but honestly, I can live happily with myself knowing that I’ve cooked it once in my lifetime and I’ll only be ever eating it in Turkey.